historical ties between the United States of America and the Philippines. …and to bring that unique relationship to the 21st century." 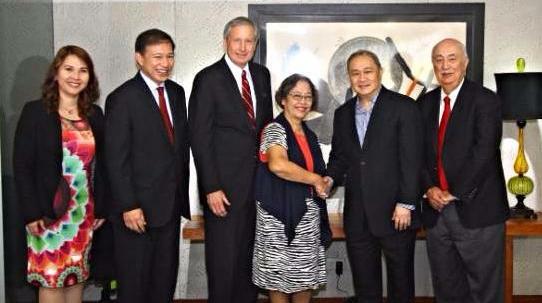 MANILA, PHILIPPINES – On January 27, US-Philippines Society and Philippine Disaster Resiliency Foundation (PDRF), a leading private sector coordinator in disaster management, signed a Memorandum of Agreement to launch the project Weaving to Transform, Uplift Livelihood, and Preserve Culture in Aklan, PH. The project is funded from donations received at the 11 June 2015 Evening Gala that featured creative works of Patis Tesoro at a fashion show in Washington DC. The project provides pina weavers with new loom equipment, training in natural dye processing, marketing support and participation in trade fairs. The Society also formalized an agreement with the BDO Foundation, the philantropic arm of BDO Unibank, for the rehabilitation of Pastrana Municipal Health Center in Leyte, Philippines. The rehabilitation of the health center which serves more than 3,500 households includes facilities for children and the elderly, consultation rooms, minor surgery and treatment rooms, pharmacy, dental clinic, labor room, breastfeeding area and birthing clinic. The improvement of its birthing facilities supports the United Nations Millennium Development Goal for maternal healthcare. 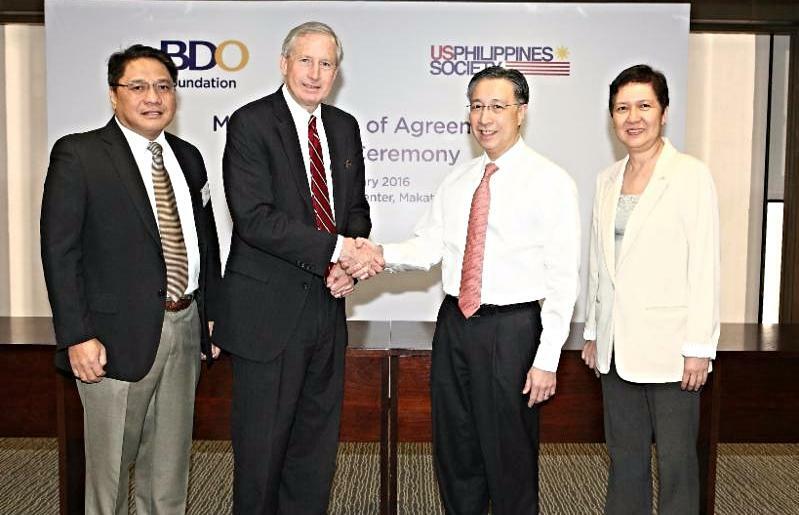 The mission of the US-Philippines Society is to build on the rich and longstanding historical ties between the United States of America and the Philippines. …and to bring that unique relationship to the 21st century. Copyright © US-Philippines Society, All Rights Reserved.